Follow any signs from the main roads indicating Agriturismo Molino di Sabbione or Laghetto di Picchio as they are both just below us. 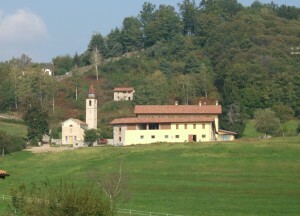 Once reaching Via Sant’Eufemia, stop in front of the small church with the same name. To the left of the church is a street which immediately bifurcates, take the right part marked Via Carrettone indicating for the fishing lake “Laghetto del Picchio“. At this point you will see Cascina Incocco in front of you up on the hill, its yellow buildings and church steeple are quite distinctive. 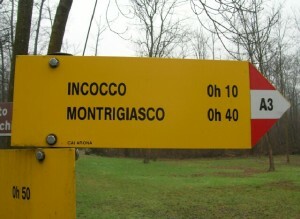 To get there, follow a couple of short turns of the road and then the asphalt ends, turn to the right leading up the hill to the Incocco gate, you should even see the yellow hiking trail markers which say “A3 Incocco” as you turn off the cement and a sign with an arrow indicating Cascina Incocco. Please drive cautiously as this section of the road is not paved and hence rough at some points. A canine welcoming committee will likely be the first indication that your Incocco adventure has begun!! !